I have taken part in the Leibster Award already, but I have been nominated again since, so I’m going to do another one! 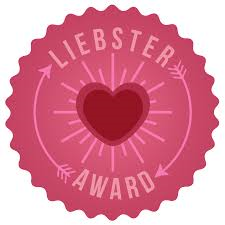 You can check out my first Leibster Awared post here! 1.Thank and link back to the blogger who presented you with the award. 3.Nominate 10 blogs with less than 200 followers who you feel deserve the award. 1) Tell us something hardly anyone knows about you. I have severe anxiety issues – I know those who have read my blog will already know this, but most people who I know in person don’t actually realise it. 2) What book character would you be, and why? 3) What would your ten-year-old self say to you now? 4) If you could only read one book for the rest of your life, what would it be? 5) If you could live anywhere in the world, where would it be? 6) Who is your favourite author? Tough one!! At the moment, I would have to say Paige Toon – I’m really enjoying going through her novels at the moment. 7) What is your favourite season? I love all the seasons! Spring and autumn are beautiful. I love the summer weather and going on late night walks with just a cardi on, but I also love cosy nights in with my hot water bottle and hot chocolate in the winter! 8) Where is your favourite place to read? In the summer I love to read in the garden. But any other time of year, my favourite place to read is my bed. 9) Favourite hobby besides reading? Writing. I love to write – as you can probably tell on my blog! I also love to draw, watch movies and play piano. 10) Top 5 most charming male fictional characters. I honestly don’t know! I’m quite tired so I can’t think from the top of my head right now – I’ll get back to you on that one! 11) Most emotional book you’ve read? I think it would probably be ‘The Ice Cream Girls’ again for this question. I got so tearful and emotional at the end of this book, and I was literally left completely speechless!! 1) What is your favourite animal? 3) Where is your favourite place to sit and write? 4) What are your life goals? 6) What is your favourite book? 7) What inspires you the most? 8) If you could only eat 1 meal for a month, which meal would you choose? 10) Tell us a random fact about yourself. I hope you enjoy taking part in this award – Please remember to link me to your post when you have done it! ← Why I will watch a TV series more than once..